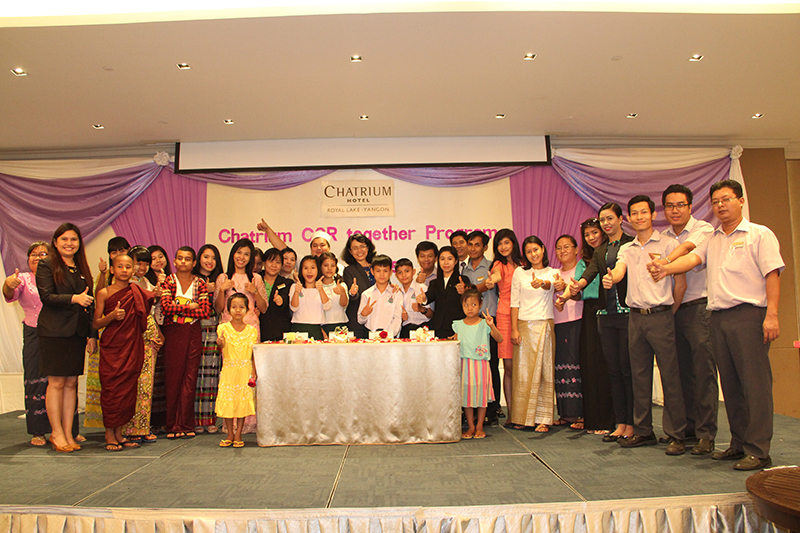 Chatrium Hotel Royal Lake Yangon held launching of Chatrium CSR Together Program on 23 November 2015 at its Grand Ballroom. Guests of honor, invited guests from Myanmar Tourism Marketing, companies and media attended the event. 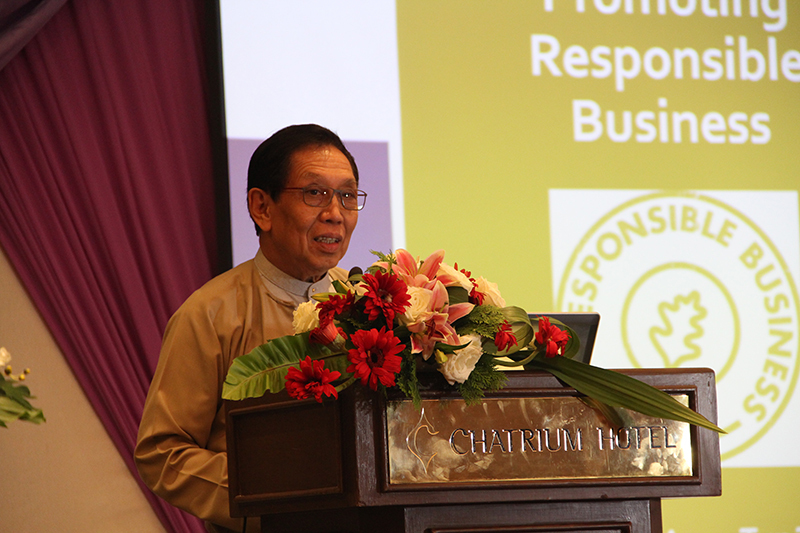 After that the honorary guest Prof. Dr. Aung Tun Thet said A Key Note Speech of CSR Corporate Social Responsibility to the audience. Then Ms Kyu Kyu Maw, Asst General Manager of Chatrium Hotel explained about Chatrium CSR projects and shared Chatrium CSR experiences to guests. 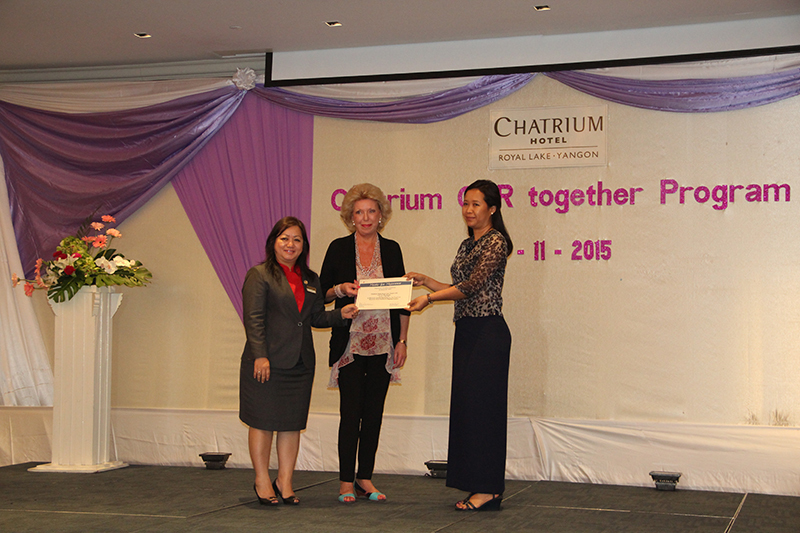 As per the Chatrium CSR plan, Chatrium Hotel Royal Lake Yangon will be a member of UN Global Compact in 2016. Then Ms May Myat Mon Win and Ms Pamela handed over donations raised by Music For Myanmar 2015 to 3 appointed schools for their future school projects and 10% of the funds raised by the concert to Myanmar Tourism Marketing for its project for Myanmar Flood Victims in Sagaing Division. 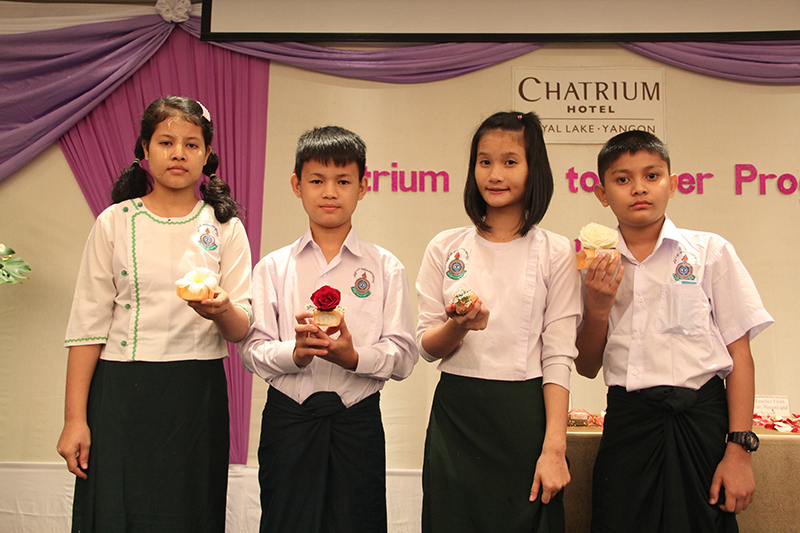 In second part of the program, Chatrium Hotel Royal Lake Yangon introduced its future CSR project, Soap For Hope. As per the program, the representative of Sundara Organization and SealedAir Company shared the knowledge of Soap For Hope CSR Project and explained about procedure of making soap with presentation to the audiences. After that Chatrium staff, students from schools, media and volunteers from Sundara organization participated in the demonstration and making soap program and then they decorated the finished soap with flowers and accessories happily until the end of program. Chatrium Hotel Royal Lake Yangon will donate used soap from hotel guest rooms to Sundara Organizations by monthly basic to make recycle soap for donation to some schools and neighborhoods in pool region of the country.